After US President Donald Trump announced tariffs on imported steel and aluminum, the European Commission is now expected to announce an import quota to prevent a deluge of steel being redirected from the US. Thermal coal prices may begin to rise this week as a result of negotiations between Australian miners and Japanese utilities. High stockpiles in Europe brought prices down to a nine-month low last week. Finally, the heads of some of the world’s largest trading and mining companies gather in the Swiss city of Lausanne, March 19-21 for the FT Commodities Global Summit; and, at the African Bunkering Conference in Tenrife, speakers are likely be assessing the impact of new IMO sulfur restrictions from 2020 onwards. Our social media question for this week: Just how far-reaching will the effect of the EU's response on steel be? Tweet us your thoughts with the hashtag #PlattsMM. In this week’s highlights: A late cold snap has the entire European energy complex in its thrall; and the outlook for global commodities will be debated in Switzerland. But first, after US President Donald Trump announced tariffs on imported steel and aluminum, the European Commission is now expected to announce an import quota to prevent a deluge of steel being redirected from the US. This will probably involve a quota based on a three-year average volume. Which could be broken down by country or product. Trade associations say the quota would stunt new trade flows and create shortages. They’re calling instead for a minimum import price. EUROFER, the European steel association, has warned as much as 13 million metric tons of steel could be diverted in to the European market. It describes the potential effect as a catastrophe on a market where imports account for 25%. This week’s social media question is: Just how far-reaching will the effect of the EU’s response on steel be? Tweet us your thoughts with the hashtag #PlattsMM. Elsewhere traders across the European energy complex will this week be assessing the impact of the late cold snap. By late last week, the cold weather had already pushed up the price of heating oil. Heating-grade gasoil barges in the Amsterdam-Rotterdam-Antwerp trading hub were being priced at parity with ultra-low sulfur diesel for the first time in 9 months. Heating-grade gasoil usually trades at a discount. In the natural gas market, withdrawals from storage facilities stepped up to meet increased demand, especially for heating. That left Northwest European gas storage stocks well below 7 billion cubic meters—a seven-year low, as you can see from our chart. To meet the renewed surge in demand, Russian supplies have been flowing into the region at a record high of around 230 million cubic meters a day. For power, the last cold snap was accompanied by healthy European wind and coal-fired plant availability; and the same is forecast for this week. This takes the edge off the power price spikes, but it underlines a very uncomfortable truth: for brief periods this year, coal-fired plants have been critical to affordable system security, taking the strain off more expensive gas-fired units. However, Europe is speeding up the closure of these plants from 2020 onwards. Another uncomfortable truth is that thermal coal prices may begin to rise this week as a result of negotiations between Australian miners and Japanese utilities. The one-year term contracts are seen by many as the benchmark prices for Asian markets. Traders and producers in the Atlantic basin will be hoping that negotiations support prices and keep the arbitrage window open. High stockpiles in Europe brought prices down to a nine-month low last week. 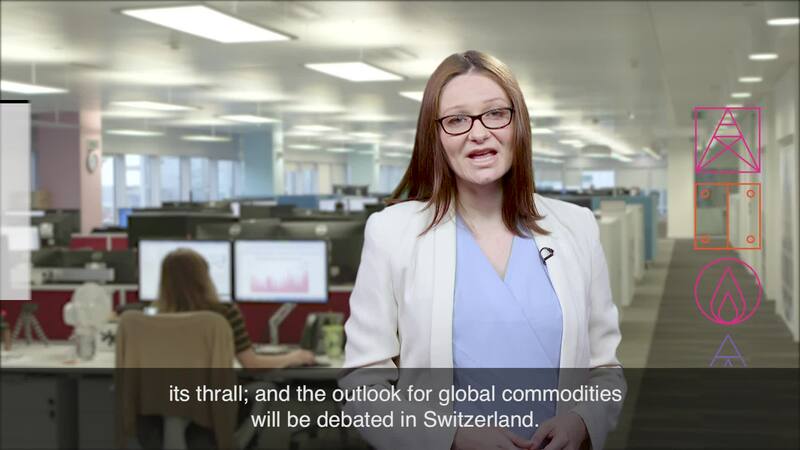 Elsewhere the outlook for global commodities as a whole will come under scrutiny as the heads of some of the world’s largest trading and mining companies gather in the Swiss city of Lausanne on Monday for the FT Commodities Global Summit. The CEOs of Glencore, Gunvor, Trafigura and Vitol will be speaking, along with the heads of mining giants Anglo American and BHP and US LNG exporter Cheniere Energy. In warmer climes, the African Bunkering Conference is taking place in Tenerife from Tuesday. There, speakers are likely be assessing the impact of new sulfur restrictions from 2020 onwards. This topic has prompted uncertainty in the shipping and refining industries, but may also present opportunities for refiners of light West African crude. Thanks for kicking your Monday off with us, and have a great week ahead.